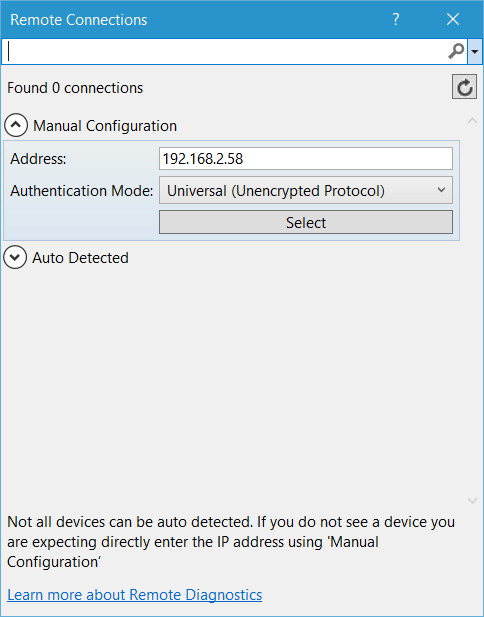 While playing around with Windows 10 IoT on a Raspberry PI 2, I found different ways to connect to the device to setup and manage it. Some other tools, mentioned in the getting started tutorial seem not to work on my machine. This post shows, how I setup and manage my Windows IoT devices. 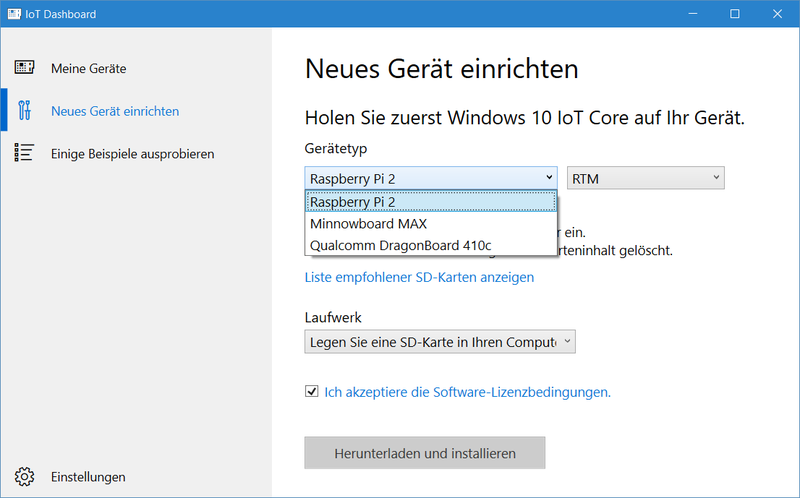 If you already downloaded and installed the latest Windows 10 IoT for the Raspberry PI (or even every other Board) on your machine, you are able to Setup the SD Card directly using. Using the Windows Explorer just go to C:\Program Files (x86)\Microsoft IoT\ and start the IoTCoreImageHelper.exe. 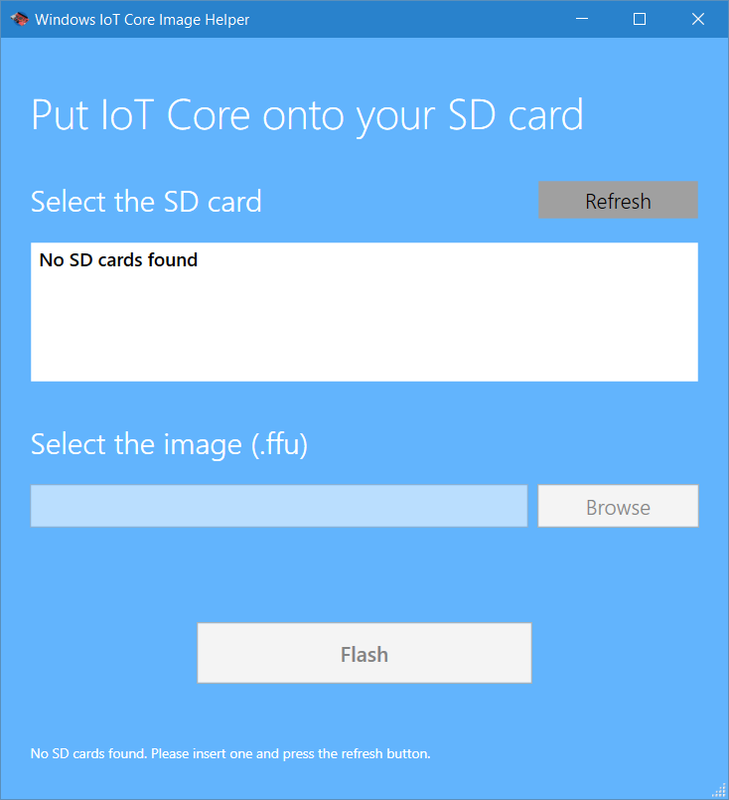 This is a small tool called Windows IoT Core Image Helper which uses the dism.exe to copy the FFU image to your SD card. This is just about the hardware. Plug-in a screen, mouse, keyboard and network cable or alternatively a WiFi adapter. (I use the original Raspberry PI WiFi adapter). 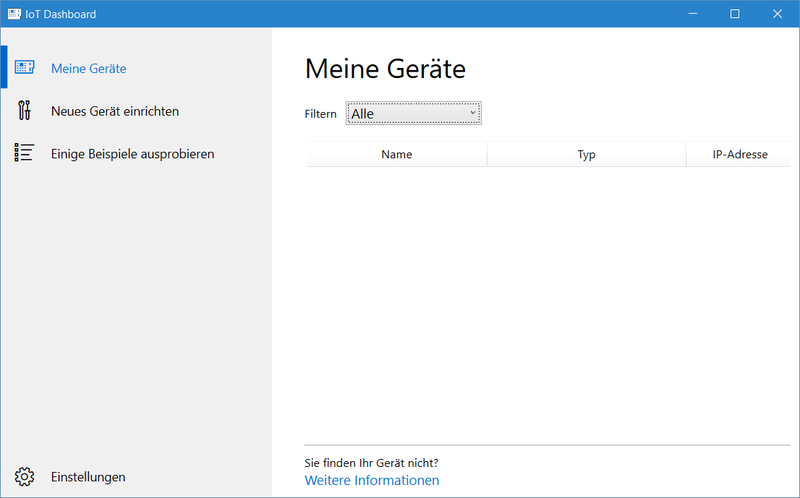 Put you SD card with the Windows 10 IoT image in the SD card slot and plugin the power cable to switch the device on. Now you just need to follow the wizard to setup your device. Usually the device will find your network and you're able to connect to the device. In case of WiFi you need to enter the WiFi key to connect to your network. The already mentioned Windows 10 IoT Core Dashboard on your computer should find all the devices in your network, but it doesn't on my computer. Anyway, there is another option to see all your devices from your computer. Again, go to the folder C:\Program Files (x86)\Microsoft IoT\ and start the WindowsIoTCoreWatcher.exe. 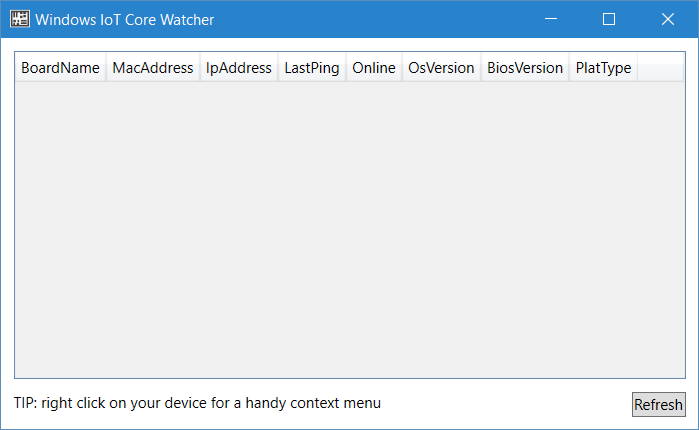 This installs the Windows IoT Core Watcher which shows you all your devices and additionally the addresses, states and so on. A right click on a device enables you to copy the physical address, the IP address or to open the web dashboard on that device. The web dashboard is one of the most important tools, where you can manage your apps, watch the performance, manage your network connections and many more. Maybe you need to enter a user name and a password to connect to your device. This is initially set to Administrator and p@ssw0rd. Choose "ARM" as solution platform and Remote Machine as the target. The first time you choose the Remote Machine, the Remote Connections dialog will open. Type in the IP address of your PI and choose the authentication mode Universal. Click select and you are now able to deploy via F5 or via right click and deploy in the context menu of the current project. The Windows 10 IoT Core Dashboard is useless for me, because it doesn't really work on my machine. And it doesn't really bother me why it doesn't work. Because there are some more ways to connect and to deploy to your device. Hope this helps to get a short overview about the setup, about connecting and the deployment to your Windows 10 IoT device. Did I forgot something? Please drop me a comment and I'll immediately update this post.